Product prices and availability are accurate as of 2019-04-13 02:02:50 UTC and are subject to change. Any price and availability information displayed on http://www.amazon.com/ at the time of purchase will apply to the purchase of this product. 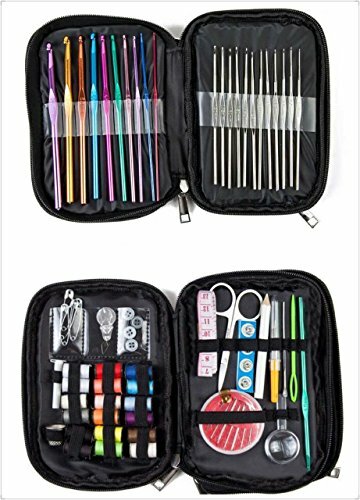 PERFECT SEWING AND KNITTING KIT ALL IN ONE! Two quality Products Coming In One Package! Why buy two sets separately when you can buy both in one professional package? A product accessible anywhere and convenient to take it to places without it would take place. Cleverly designed product and gives you the option to choose between knitting and sewing all in one package easy to use. Everything you need: Both kits comes with All tools for quick repair or just to knit hat or clothes or whatever you like. Creativity and thought have been invested to give you a secure feeling while using this product use it for your needs or your enjoyment. MeVinE Manufacturer offers a lifetime guarantee. If you were not satisfied with any reason Contact us to receive a refund. So why wait? Buy today this perfect product that must be in every home and suitable for all trip. Click add to cart and buy yours NOW! AVAILABLE EVERYWHERE- All In One Case Is Perfect For Everyday, Travel Or Emergency Fixes. Store It In Your Desk Dawer, Car, Or Suitcase Ready For Any Situation. SAFE AND EASY TO USE- In One Case You Get Two Kits Offers Comfortable Use. Professional Sewing Kit Great For Missing Buttons, Split Pants, Ripped Shirt Seam, Make Quick Hem And More. 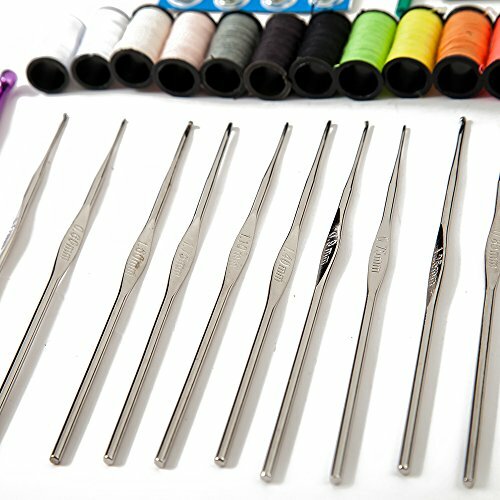 22 Pcs Crochet Hooks With Accesories Waiting For You. Professional Tools In Professional Package Provides A More Secure Feeling While Buying. 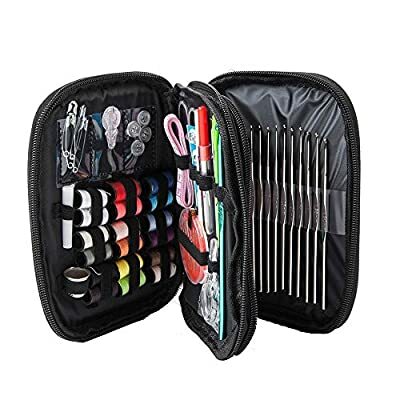 It Is Designed For Beginners, Advanced and Adults And Not Intended For Small Children However For Bigger Children And Teens Who Love To Sew Or Knit This Is A Great Product. 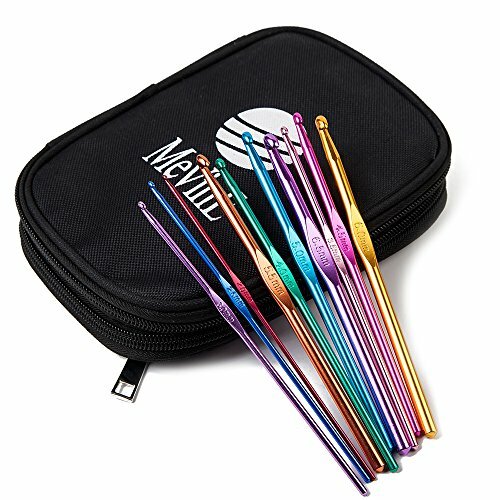 KNITTING AND SEWING SETS INCLUDED: 10 x Aluminum Hooks 12 x Silver Hooks 10 x Locking Stitch Makers 6 x Plastic Sewing Needles/Yarn Needles 3 x Cable Switch Knitting Needles 2 x Row Counter 2 x Stitch Holders 2 x Needles Point Protectors 1 x Gauge Measure Ruler 1 & More. 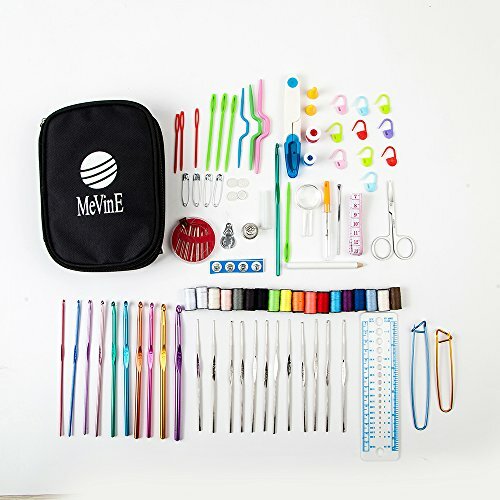 Sewing Accessories Includes 18 Polyester Sewing Thread Spools In Popular Colors, Metal Thimble, Seam Ripper, Scissors, Measuring Tape, Fabric Pencil ,Needle Threaders, Safety Pins, Shirt Buttons, Round Magnifie And More! CARRYING CASE- Enough To Fit In Any Carry-On, Back Pack Or Gym Bag. Perfect Gift For Friends And Family Who Travel, Students, Business Travelers And Soldiers. Largest Amount Of Functionality In As Little Space As Possible So You Get More Tools With Easier Access. Comfortable And Easy To Use, Package Size Is 5 \ 1 \ 7 Inch And Easy-To Carry It 0.77 Pounds. 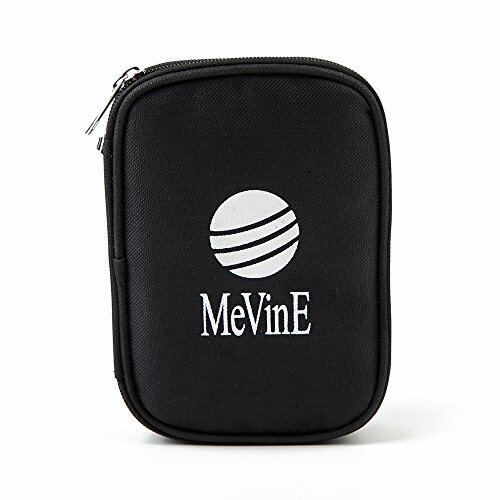 MeVinE CREATIVE THINKING- This Unique Product Is A Solution For A Lot Of People Who Waiting For Accessibility And High Quality Combination Of Both Products Uses In Everyday Life.